Please note: ISTAT U is available to current university students only. Visit the website in the first quarter of 2018 for more details on the ISTAT U program for professionals. Interested in an exciting career in aviation finance and trading, one of the world's fastest growing and most dynamic industries? ISTAT U is a specialized course designed for students wishing to become part of the aviation finance and trading community. The ISTAT Foundation is committed to supporting the education and development of aviation–minded individuals who wish to pursue a career in the field of aviation finance and trading. As part of this commitment, the ISTAT Foundation has collaborated with Embry–Riddle Aeronautical University (ERAU), Daytona Beach to deliver a specially designed one-year (six credit hour or global equivalent) aviation finance and leasing program, ISTAT U.
ISTAT U provides an overview of the many facets of the aviation finance and leasing industry and exposes students to real world concepts and methodologies. The course materials have been developed by the ERAU faculty working in partnership with ISTAT industry practitioners. The ISTAT U curriculum has been specifically tailored to help prepare students for internship as well as long term career opportunities in the exciting field of aviation finance, leasing and trading. ISTAT U Online is available to qualified students from around the world by way of a distance learning, web-based course offering. Students from Asia, to Europe, to Latin America and everywhere in between will have the ability to register for ISTAT U. The ISTAT U Online Program will be facilitated by faculty members at Embry-Riddle Aeronautical University (ERAU) Daytona Beach Campus through the ERAU Worldwide platform. All course instruction and assignments will be accessible online. The course is asynchronous which means that students will access the modules on their own time. The due dates for assignments and exams will be set in EST and students from other time zones will have to submit accordingly. There are no on-campus course requirements. Students are eligible to receive course credit upon completion of the program. 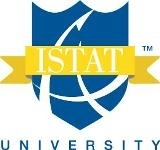 Disclaimer: Each ISTAT U course is equivalent to a three credit graduate course. ERAU or the ISTAT Foundation cannot guarantee the courses will receive credit at the student's host institution. It is the student's responsibility to check with their host institutions to confirm if they will receive credit for the ISTAT U courses at their respective institutions before starting the program. Applications for the 2017 ISTAT U Online Program are now available. Before submitting an application, please carefully review the admission requirements to ensure you quality for the program. If you do not meet the requirements noted below, we are unfortunately unable to accept your application. Enrolled in a graduate-level program (master’s) or above at an accredited college or university; or, enrolled in the final year of an undergraduate-level (bachelor's) program at an accredited college or university. Coursework in finance and accounting is required to apply for the program. U.S. Grade Point Average (G.P.A.) requirement: 3.0 or above on a 4.0 scale. Outside of the U.S.: students must hold an academic ranking within the top 25% (75%-100%). Personal statement (not to exceed one page): Describe your interest in commercial aviation as it relates to what ISTAT member companies engage in. English proficiency test scores (e.g. TOEFL, etc.) for applicant's whose primary language is not English. 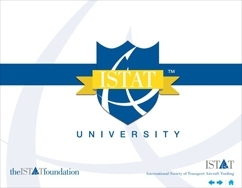 Please note: the ISTAT U Online Program is geared towards graduate-level (master's) students. The acceptance criteria for undergraduates will be more rigorous. The tuition for the 2017 ISTAT U Online Program $3,720 USD. The ISTAT Foundation Scholarship Program offers scholarships of up to $3,000 USD to select ISTAT U students. If you are interested in receiving scholarship support, be sure to indicate your interest in your application. Funding is limited. The three courses must be completed in the specified order as each course is a pre-requisite for the following course. Upon completion of all three courses, students will receive a program completion certificate. The application for the fall (October) 2017 online program is now available. Please click below to access the online application. The deadline to submit applications is Friday, 29 September, 2017. Applicants are required to be enrolled in a graduate-level program (master’s) or above at an accredited college or university; or, enrolled in the final year of an undergraduate-level (bachelor's) program at an accredited college or university. 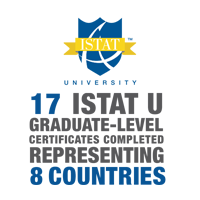 For more information on ISTAT U, please contact the ISTAT Foundation Headquarters at istatu@istat.org. “Aviation has always been a passion for me. I have worked extensively in North Africa and Afghanistan in Helicopter leasing (ACMI) to UN agencies (ISAF, NATO, UNMIS, UNMID). ISTAT U provides a great avenue for me to expand my knowledge of aircraft leasing with specific focus on concepts like lease evaluation, lease accounting, the legal and regulatory framework surrounding aviation, and risk management. ISTAT U also provides me the opportunity to interact with industry professionals and get an understanding of the challenges and opportunities in the industry. In my opinion the ISTAT U course is the most relevant course for professionals seeking an understanding in the growing world of aircraft leasing." 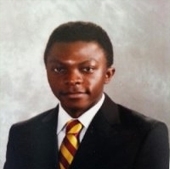 "I believe that being a part of the ISTAT U program, who are the leaders in the aviation industry especially with regards to commercial aviation and aircraft trading, I will be a step ahead of my other peers who won’t have the skills I will acquire through the program when I begin my job hunt. 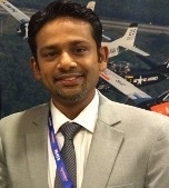 I am most excited about the fact that industry professionals and leaders are taking a special interest in the program by coming to lectures or recording videos for us in a way that gives me a very personal insight into the world of aviation finance, which I want to become a part of myself. 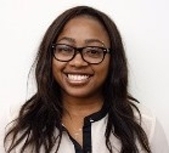 This not only provides me with a wealth of information in a very interactive and enjoyable manner but also acts as a way to network with potential employers." "I am a double major at Embry-Riddle Aeronautical University studying aviation maintenance management with a concentration management and Business administration with a focus in accounting and finance. The ISTAT U program is the perfect area for me to focus all my passion, skills and knowledge that I have accumulated from my maintenance background as an FAA certified maintenance technician, internship at Aero Turbine (subsidiary of ILFC and AerCap), and finance education at ERAU. ISTAT U also provides me with the opportunity to participate in the growing aircraft leasing trend, network with industry professionals primary in the securitization, financing and appraisals of aircraft assets based on various macroeconomic factors." 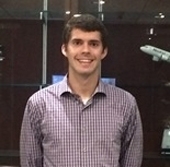 "I am incredibly excited to be in the first ISTAT U program offered at Embry-Riddle, it is a completely unique experience that has already greatly increased my knowledge of the aviation industry. Particularly when it comes to the relationship between airlines and leasing companies. Furthermore the ISTAT U program has given me the opportunity to meet a variety of industry professionals. It is an excellent resource to learn about the different facets of the aviation industry directly from established professionals. I have no doubt that the ISTAT U program will increase my marketability to future employers and will help me secure employment when I graduate. I could not be more pleased with my decision to enroll in the program." 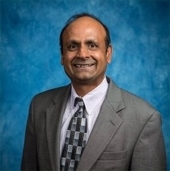 “This innovative partnership between the Embry-Riddle Aeronautical University’s College of Business and ISTAT is one of a kind experience for the student providing them with a rich confluence between industry and academia. The ISTAT U program aims to develop academic courses based on input from the industry to better prepare the student for industry positions related to areas such as aircraft financing, manufacturing, repair and overhaul. In my over twenty years of teaching experience, I have never witnessed such enthusiasm and passion amongst the students."